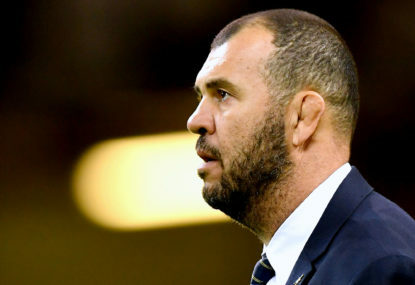 Are the Wallabies living under the adolescent ‘it’s not my fault’ delusion? The psychology of a dominant scrum flows through directly to the contest at the breakdown. At Test level, usually a dominant scrum equals dominant breakdown equals victory. This delusion has been further perpetuated by Australian commentators bemoaning the new scrum rules trying to shift the blame onto the IRB with ‘it’s not our fault our scrum is being monstered’. Not facing up to the problem will get rugby in Australia nowhere! 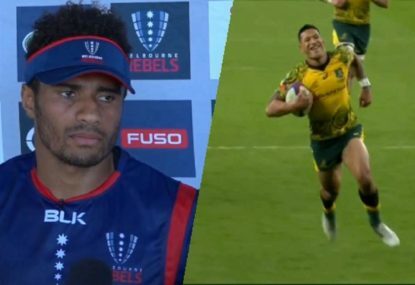 Over the past decade or so the Australian rugby pack has hovered between being derided for its lack of strength and technique (Andy Sheridan demolished our pack in Rugby World Cup 2007), to being able to provide regular front-foot ball, to being derided once more. Hand on heart – not since Australia won the 1999 Rugby World Cup has the scrum been a strong point. 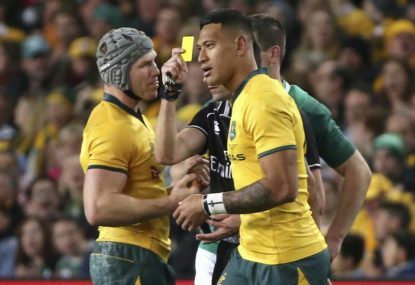 The law changes introduced this year have further entrenched the scrum as being a test of both strength and technique and Australia has been caught short. 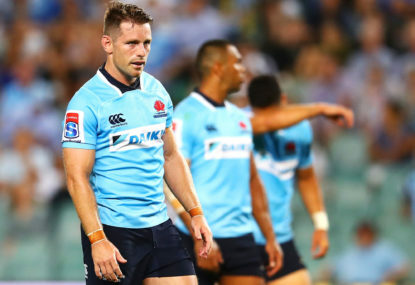 The current crop of front rowers have been exposed as not yet being up to Test standard. Dan Palmer, our best scrummager, is not in the squad, which points to a lack of understanding/preparation for the rule changes. There are question marks as the effectiveness of the locks. It is time to be honest and admit that Australia has struggled to produce world class tight five players for over a decade – sure there have been exceptions, but they are few. In this age of professionalism the solution is the creation of a tight five academy, with a long term view. This academy should be open to any that fit a minimum specification: players who are willing to live and train in Australia for a minimum of four years. 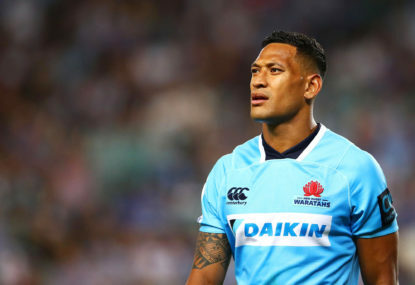 It would be advertised globally, especially in countries that play rugby and have a history of producing excellent tight five players, such Argentina (who will forget Topo Rodriquez and Patricio Noriega), South Africa (Dan Vickerman), Georgia, the Pacific Islands and so on. The reality is the Wallabies have to go forward to earn the right to go wide (and only then run the ball), and this does not look like happening in the short term. 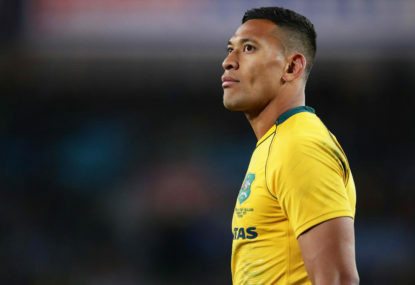 It is time for all to take a cold shower, admit where the Wallabies truly are and put in place the strategies that will guarantee production of players that meet the physical specification requirements of a tight five player in this century.